offering a safe space for dialogue and inquiry about potential intersections of racial justice and sustainability in Madison. 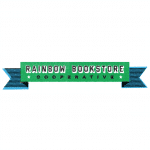 This is from 6:30 to 8:30pm at Rainbow Bookstore, 426 West Gilman Street. For more info, email brossing@wisc.edu. 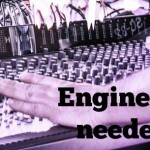 Tonight is a free “Intro to Audio Engineering” class at Madison Central Library. Learn how to set up a basic recording session and record audio! Personal instruments and microphones are not required, but if you have something you’d like to bring in, feel free! This is tonight from 6 to 8pm at Madison Central library, 201 West Mifflin Street. For more info, call 266-6300.